Almond milk whisked with matcha green tea powder then slightly sweetened and served with ice. 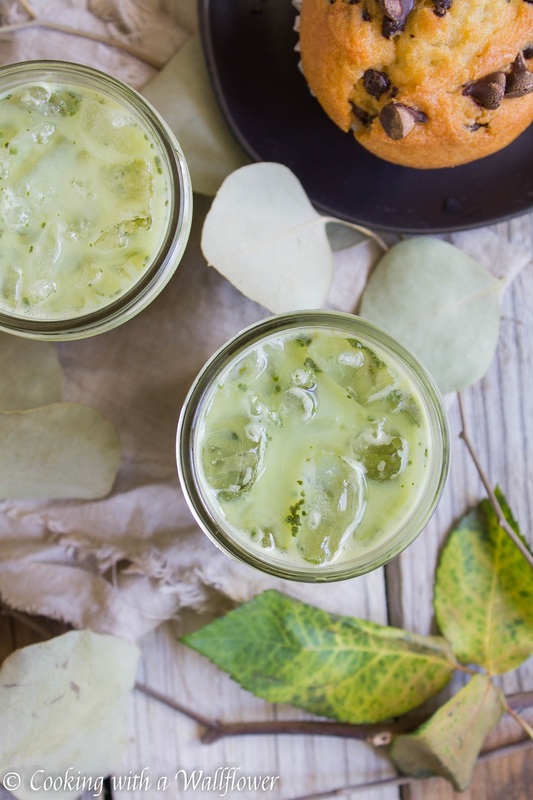 This simple to make iced matcha green tea latte is so delicious and refreshing. Are you guys celebrating Mother’s Day with brunch? My mom works today so brunch isn’t possible. Instead, we decided that we’re either doing a special seafood dinner at home or we’ll be going out for dinner. My mom hasn’t quite decided yet what she wants to do. 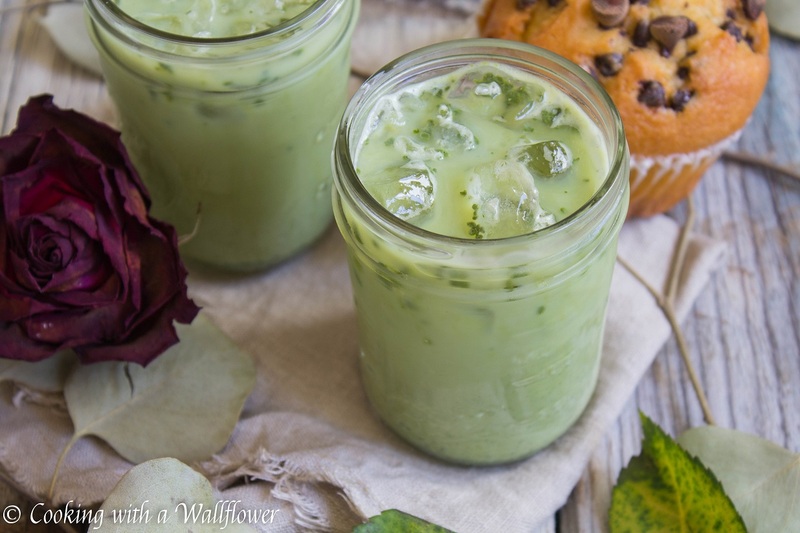 In the mean time, I thought I would share this iced matcha green tea latte with you. In just a week, my sister and I are attending SF’s Matcha Fest, and I’m so excited to see what different vendors are offering. As far as I know, everything there is green tea focused. I’m obsessed with matcha green tea and I think you’re going to see that in the weeks to come. One of my favorite drinks to order when I’m out, even at Starbucks, is a matcha green tea latte. And it can be pretty expensive for something that’s super easy to make at home. You just need a few simple ingredients: vanilla almond milk, matcha green tea powder, brown sugar (or other sweetener), and crushed ice. For the matcha green tea powder, I used the culinary grade. 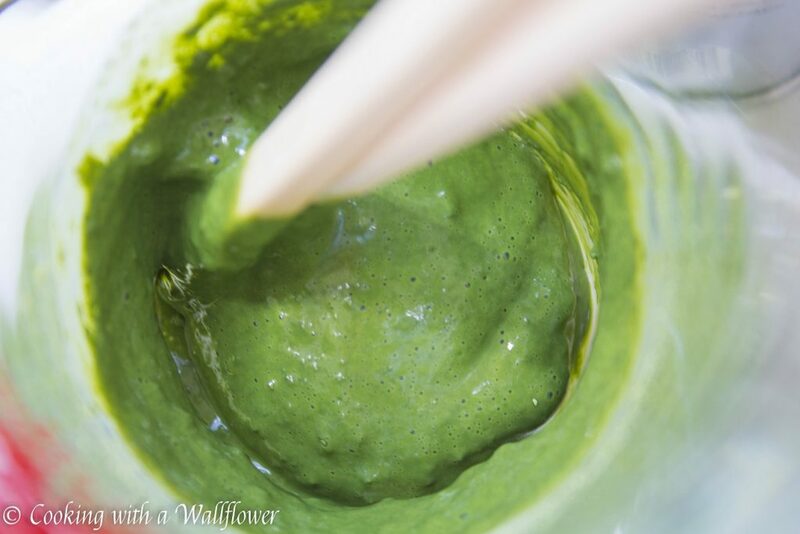 In a small jar, add the matcha green tea powder, brown sugar, and a little bit of the vanilla almond milk. Whisk until the matcha green tea powder and sugar has dissolved into a paste and appears smooth. If there are clumps, the powder will later float to the top. 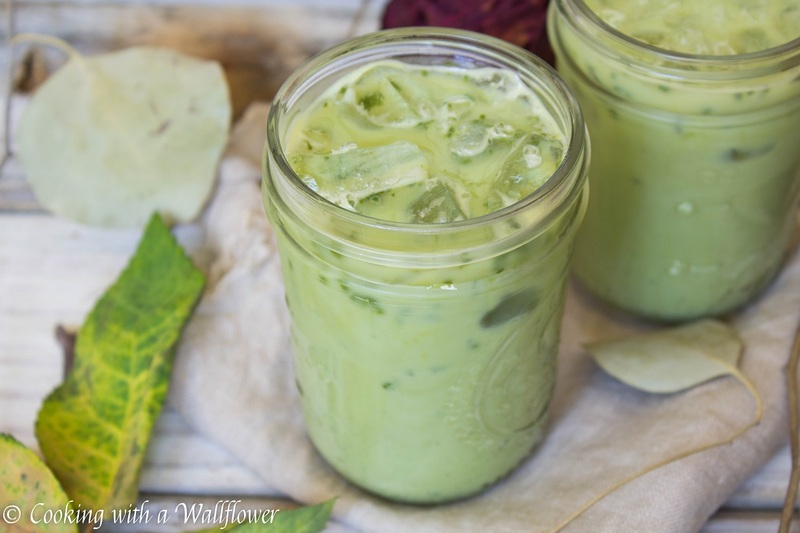 Fill the rest of the jar with vanilla almond milk and stir to incorporate the matcha green tea paste. Top with crushed ice. 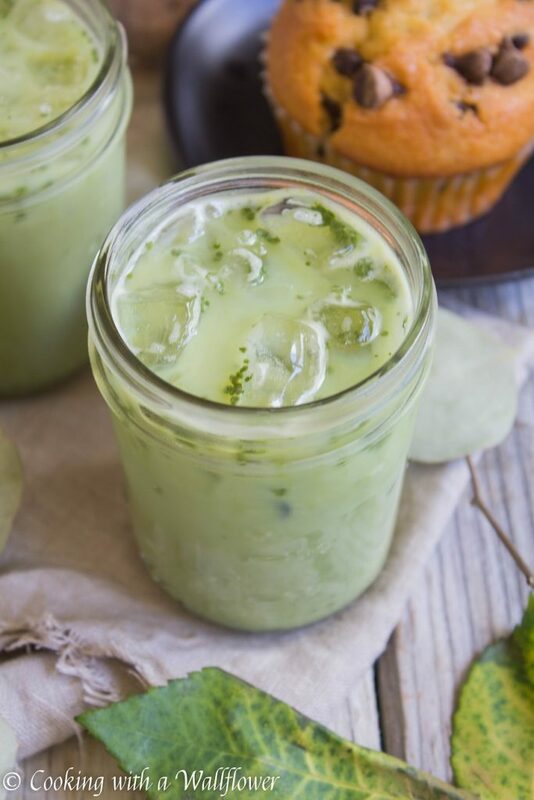 Serve the iced matcha green tea latte immediately cold. This entry was posted in Beverages, Gluten Free, Quick and Easy, Recipes, Spring Cravings, Summer Cravings, Vegan, Vegetarian and tagged beverage, gluten free, matcha green tea, matcha latte, quick and easy, vegan. Maccha is very fine green tea powder as a part of traditional Japanese drink. That’s interesting to make Maccha latte using Almond milk ! Here in Japan, it’s popular to make Maccha latte using soya milk but never thought to use Almond milk .. I will try to make it !! Thank you for sharing it !! 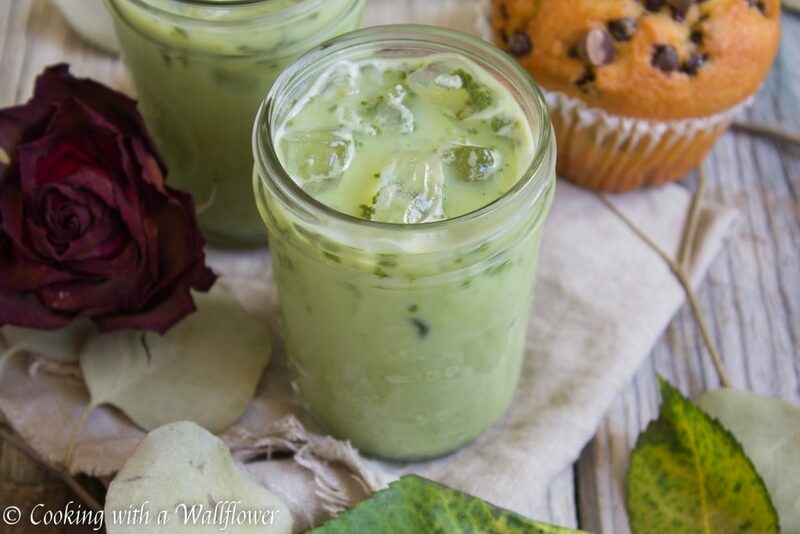 I love matcha lattes and this has inspired me to make my own! Thank you for the inspiration and your photography is wonderful! I hope you’ll like this version! This is a nice one. Liked it. Where do you get green tea powder? You can get them at your local Asian supermarket, but you can also find it on Amazon. I use this Maeda-En brand.